Flowers are the messengers of love. 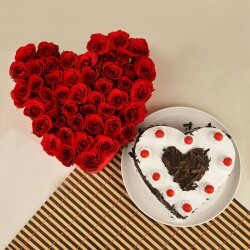 You must send Valentine flowers online to Delhi to your beloved living there and show them that you really care. We source from the best flower florists who send fresh flowers just after a few hours of being cut. Make your Valentine's Day extra special and a memorable one with flowers. Delhi is rightly known as the ‘Dilwalon Ki Nagri’ as it shelters such warm-hearted people who believe in celebrating every occasion with utmost zeal and enthusiasm. One of those occasions is Valentine’s Day, that Delhiites believe in celebrating and how. 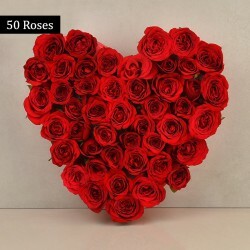 While some of the couples mark the celebration by going on a romantic candlelight dinner, most of them buy Valentine flowers online to articulate their feelings for their partners. So, if you are thinking of sending freshly-arranged Valentine flowers to Delhi for your sweetheart this February 14th, you are at the best place. 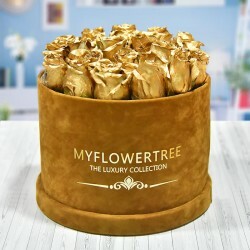 MyFlowerTree provides you all a wide variety of Valentine flowers that are sure to help you in emoting your feelings for your beloved in the best possible way. Since the Victorian era, flowers have always been a messenger of love. People have been using flowers as a tool to express their emotions for their lovers and even today nothing can convey your emotions in a better way than flowers. So, this Valentine, if you feel nervous about confessing your love for that someone special in your life then, let our Valentine flowers do the trick. 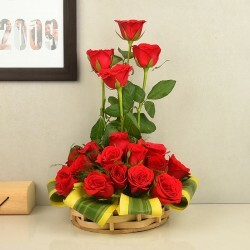 How about sending Valentine flowers to Delhi online and make your beloved feel special on Valentine’s Day? If you want to leave your girlfriend mesmerized on February 14th then, deliver a bunch of Valentine flowers to her doorstep through our online flower delivery in Delhi. Are you dating a Delhi-based girl? If yes then, this Valentine’s Day, send Valentine flowers to Delhi online from us and make her fall head over heels in love with you. To make her feel even more special and pampered, you can now also send Valentine cakes to Delhi and infuse sweetness in your love life. 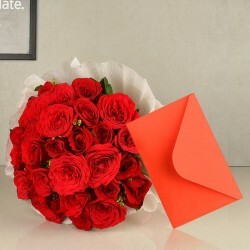 Why Should You Send Valentine Flowers To Delhi From MyFlowerTree? Wide variety of heavenly blooms: We provide a wide variety of beautiful Valentine flowers like roses, carnations, gerberas, lilies, orchids, and so on. 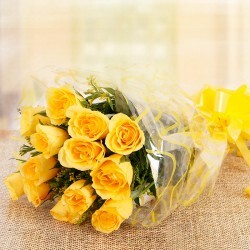 These gorgeous flowers are available in a variety of colors such as red, yellow, white, pink etc. 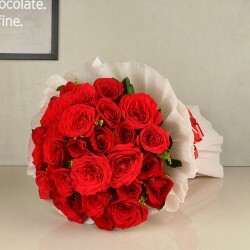 Same Day Valentine Flower Delivery: MyFlowerTree offers same day Valentine flower delivery across India and abroad as well. 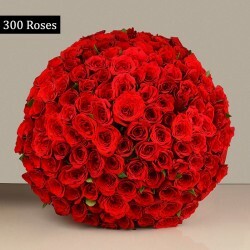 We deliver Valentine flowers in more than 350+ Indian cities and in countries like USA, UK, UAE, Australia, Canada, France, Malaysia, Qatar, South Africa, and Sweden. So, this Valentine’s Day, prove your beloved that your love knows no bound for him or her. Heart-Shaped Valentine Flower Bouquets: We have heart-shape arrangements of roses, carnations, orchids etc that perfectly fit into the theme of Valentine’s Day celebration. 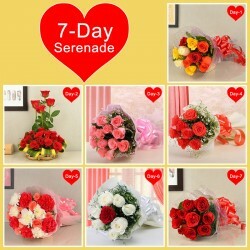 It’s Quick And Hassle-free: Our Valentine flower delivery service is quick and hassle free. 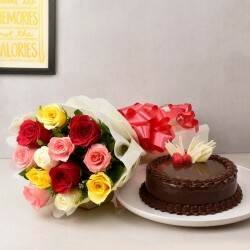 You can order or send Valentine flowers to Delhi from the comfort of your home just in a few clicks.